I am applying for the Builder Rank on the Prisons server. 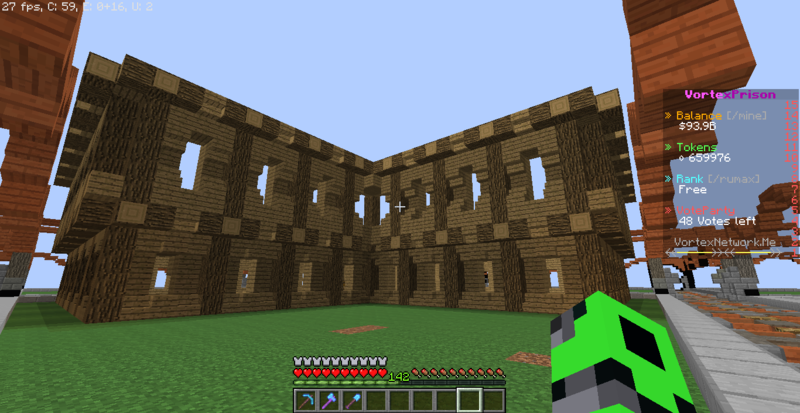 I have been building quite a big house and I am still currently building it, but decided to finish the walls and then apply. I invited a few people over including the Admin: ThaUnrealIan, and he is the one who actually told me I should apply for the Builder Rank!